Cannes countdown: The 69th annual Cannes Film Festival gets underway May 11, beginning the countdown to the new awards season. While films playing in competition at Cannes hope to win the Palme d'Or, they're also thinking about generating the kind of global media attention that can put them in the early awards conversation as the media starts thinking about potential Oscar contenders. That's also true of the high profile titles that are playing out of competition at Cannes and hoping to be positioned by the media as Oscar possibilities. Cannes, which runs through May 21, has evolved over the years into what is, in effect, the first stop on the railroad leading to the Academy Awards. This year, for the first time, instead of showing a Closing Night title, Cannes will use that prestigious slot to screen the Palme d'Or winner announced the previous night. If a high profile contender should win, this will put it on track for the Oscar race. Lightning doesn't always strike at Cannes, but when it does with awards and audience success, Oscar marketers know they can springboard off that to prompt media speculation about their Oscar prospects. Cannes is now an integral part of Hollywood's awards marketing game plan. Awards hopefuls begin attracting media attention at Cannes in mid-May. Then they go on to play at high profile film festivals like Venice in late summer and Telluride and Toronto in the early fall and New York in mid-fall. All that media coverage about who's won what awards and how critics and audiences have or haven't embraced those titles helps distributors decide whom to bankroll in the costly race for Oscar gold. A good example of how helpful Cannes can be came in 2013 with Bruce Dern's best actor win for "Nebraska." Dern and the film's domestic distributor, Paramount Pictures, made the most of his Cannes success and turned it into an Oscar nomination. Although Dern lost to Matthew McConaughey's critically acclaimed transgender performance in "Dallas Buyers Club," Dern was widely regarded as a strong contender throughout the awards season. Another good example of benefiting from being in the Cannes spotlight is Woody Allen's "Midnight in Paris," the festival's opening night selection in 2011. "Paris" was a tremendous success on the Croisette, leading to critical acclaim when it opened. It wound up grossing $58.6 million domestically, making it Allen's biggest boxoffice hit ever. "Paris" received four Oscar nominations – including, best picture, directing, art direction and original screenplay. Allen won for screenplay, but, as usual, didn't show up for the ceremonies. History could repeat itself now since Allen's new PG-13 rated romantic comedy drama "Cafe Society" set in 1930's Hollywood is this year's Opening Night selection at Cannes. Written and directed by Allen, its ensemble cast includes: Jeannie Berlin, Steve Carell, Jesse Eisenberg, Blake Lively, Parker Posey, Kristen Stewart, Corey Stoll and Ken Stott. "Cafe" is being released in France by Mars Distribution, which also distributed "Paris" in France. Its domestic release is through Amazon Studios and it's the first time an Amazon title has been honored as a Cannes opener. Amazon will open "Cafe" in wide release Aug. 12 via Lionsgate. Last year, by the way, Allen's mystery "Irrational Man" played out of competition at Cannes, but failed to resonate there. It went empty handed during the awards season, receiving no noms for Oscars, BAFTA's or Golden Globes. On the other hand, Warner Bros. and Village Roadshow's 3D action franchise reboot "Mad Max: Fury Road" was catapulted into the last Oscar race based on its strong showing at Cannes. Directed by George Miller, director of the first two "Mad Max" episodes and "Mad Max Beyond Thunderdome," it wound up winning six Oscars (all in tech related categories) and receiving four other noms, including best picture and directing. Cannes can be particularly helpful to films with an eye on Oscar's best foreign language category. Last year, for instance, Hungarian writer-director Laszlo Nemes' Holocaust theme documentary "Son of Saul" played very well in competition at Cannes, winning the Jury Grand Prize and several other honors. It later won the best foreign language film Oscar and Golden Globe. Animated films also benefit from exposure at Cannes. Disney and Pixar Animation Studios' 3D animated comedy adventure "Inside Out" played out of competition last year and was very well received. It wound up winning the best animated feature Oscar, Golden Globe and BAFTA. (1) The Steven Spielberg directed 3D family appeal fantasy adventure "The BFG" opening July 1 from Amblin Entertainment, Disney, Walden Media, DreamWorks, Reliance Entertainment and The Kennedy/Marshall Co. Starring are: Rebecca Hall, Bill Hader and Mark Rylance. (2) The Jodie Foster ("Home For the Holidays") directed R rated thriller "Money Monster" opening May 13 from TriStar, Village Roadshow and Smokehouse Pictures. Starring are: George Clooney, Julia Roberts and Jack O'Connell. (3) The Shane Black ("Iron Man 3") directed R rated crime thriller "The Nice Guys" opening May 20 from Warner Bros. and Silver Pictures. Starring are: Russell Crowe and Ryan Gosling. (4) The Korean thriller "Goksung" directed by Hong-Jin Na ("The Yellow Sea") and starring Woo-hee Chun, Jo Han-Chul and Jeong-min Hwang. A good showing at Cannes could bring it a domestic distribution deal. (1) The Spanish language drama "Julieta" is directed by Spain's Pedro Almodovar, a four-time Palme d'Or nominee for "The Skin I Live In" (2011), "Broken Embraces" (2009), "Volver" (2006) and "All About My Mother" (1999). "Julieta," which Sony Pictures Classics is releasing domestically, is based on three short stories by the Canadian writer Alice Munro. (2) The French language drama "The Unknown Girl" is directed by the Belgian brothers Jean-Pierre and Luc Dardenne, who have previously had six films at Cannes and are two-time Palme d'Or winners – for "L'Enfant" (2005) and "Rosetta" (1999). Winning a third Palme d'Or this year would set a Cannes record. (3) The English language thriller "Personal Shopper" is directed by France's Olivier Assayas, whose four previous Palme d'Or noms include: "Clouds of Sils Maria" (2014), "Clean" (2004), "Demonlover" (2002) and "Les Destinees" (2000). "Shopper" star Kristen Stewart won the 2014 best supporting actress Cesar, France's equivalent of the Oscar, for her performance in Assayas' "Clouds." Stewart will be at Cannes to promote "Shopper" as well as Woody Allen's "Cafe Society." (4) The English language romantic drama "The Last Face" is from American actor-director Sean Penn and stars Charlize Theron and Javier Bardem. Penn was a Palme d'Or nominee for "The Pledge" (2001) and won the best actor award for "She's So Lovely" (1997). (5) The English language drama "Paterson" is from American director Jim Jarmusch, a six time Palme d'Or nominee – for "Only Lovers Left Alive" (2013), "Broken Flowers" (2005), "Ghost Dog: The Way of the Samurai" (1999), "Dead Man" (1995), "Mystery Train" (1989) and "Down by Law" (1986). "Paterson," which stars Adam Driver, who plays Kylo Ren in "Star Wars: The Force Awakens," is being released domestically by Amazon. Jarmusch will also be represented at Cannes by "Gimme Danger," the out of competition documentary about the punk band The Stooges. Written and directed by Jarmusch, it stars Iggy Pop. (6) The English language horror thriller "The Neon Demon" is from Danish director Nicolas Winding Refn and stars Keanu Reeves, Christina Hendricks and Elle Fanning. Refn is a two-time Palme d'Or nominee – for "Only God Forgives" (2013) and "Drive" (2011). He also won the best director award for "Drive." (7) The English language drama "I, Daniel Blake" is from British director Ken Loach, a Palme d'Or winner whose long history at Cannes stretches back to 1979. Among Loach's Cannes wins are: the Jury Prize for "The Angels' Share" (2012); the Palme d'Or for "The Wind That Shakes the Barley" (2006); the Jury Prize for "Raining Stones" (1993); and the Jury Prize for "Hidden Agenda" (1990). (8) The Korean and Japanese language drama "Agassi" ("The Handmaiden") is from South Korean director Park Chan-Wook and will be distributed domestically via Amazon. Chan-Wook is a two time Palme d'Or nominee – in 2009 for "Bakjwi" ("Thirst"), which also won the Jury Prize; and in 2004 for "Oldeuboi" ("Oldboy"), which also won the Jury Prize. (9) The English language comedy drama "American Honey" is from British actress-director Andrea Arnold, a two-time Palme d'Or nominee, and stars Shia LaBeouf. A24 will release it domestically. Arnold was a Palme d'Or nominee for "Fish Tank" (2009), which tied (with "Thirst") for the Jury Prize; and for "Red Road" (2006), which won the Jury Prize. (10) The French language thriller "Elle" is from Dutch director Paul Verhoeven and stars Isabelle Huppert. It's been a while since Verhoeven's last film in competition at Cannes, but it was a memorable one -- the Palme d'Or nominated "Basic Instinct" in 1992. Huppert is a two time best actress winner at Cannes – in 2001 for "The Piano Teacher" and in 1978 for "Violette" (in a tie with Jill Clayburgh for "An Unmarried Woman"). Huppert won the best actress Cesar in 1996 for "La Ceremonie" and has received 14 other Cesar noms for lead and supporting performances going back to 1976. Bottom line: As excited as Hollywood is about Cannes, it's even more excited about the already sizzling pre-summer boxoffice. 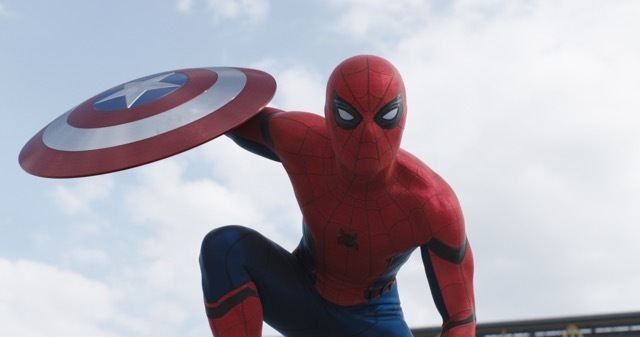 Last weekend saw Marvel Studios and Disney's PG-13 rated 3D sci-fi action thriller "Captain America: Civil War" open to $181.8 million, making it the year's biggest domestic opening to date (beating "Batman v Superman: Dawn of Justice," which opened Mar. 25 via Warner Bros. to $166 million) and the fifth highest domestic opening ever. "Marvel Studios now has four of the top six openings of all time," Disney said Sunday morning, noting that "War" ranks between fourth place "Avengers: Age of Ultron," which opened May 1, 2015 to $191.3 million, and sixth place "Iron Man 3," which opened May 3, 2013 to $174.1 million. The top three all-time domestic openings are: "Star Wars: The Force Awakens" Dec. 18, 2015 via Fox to $248 million; "Jurassic World" June 12, 2015 via Universal to $208.8 million; and "Marvel's The Avengers" May 4, 2012 via Disney to $207.4 million. "An estimated international weekend of $220 million," Disney added, "results in an overall global weekend just above $400 million and a global cume of $678 million to date for the #5 global release and #3 Western international release of 2016 in just 12 days." Disney said "War's" international cume is $496.6 million through last weekend. With its domestic opening of $181.8 million, the film's worldwide cume through last weekend is $678.4 million. "War's" domestic audience, Disney reported, was 59 percent male, 69 percent adult and 20 percent families. In terms of age, its audience was: 12 & Under – 9%; 13-16 – 11%; 17-25 – 23%; 26-34 – 26%; 35-49 – 21%; and 50+ – 10%. Comparing "War" to other Marvel titles, Disney noted that its "domestic cume to date ($182M) has already surpassed the lifetime cumes of 'Captain America' ($177M), 'Ant-Man' ($180M) and 'Thor' ($181M). "The International cume to date ($497M) has already surpassed the lifetime cumes of 'Captain America' ($194M), 'Iron Man' ($267M), 'Thor' ($268M), 'Iron Man 2' ($312M), 'Ant-Man' ($339M), 'Thor: The Dark World' ($438M), 'Guardians of the Galaxy' ($440M) and 'Captain America: The Winter Soldier' ($455M). "The global cume to date ($678M) has already surpassed the lifetime cumes of 'Captain America' ($371M), 'Thor' ($449M), 'Ant-Man' ($519M), 'Iron Man' ($585M), 'Iron Man 2' ($624M) and 'Thor: The Dark World' ($644M)." 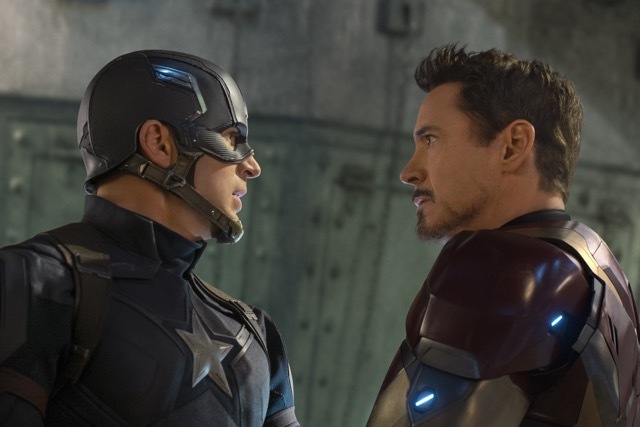 As expected, "War" played more like an "Avengers" episode than a "Captain America" sequel. The franchise's first episode, "Captain America: The First Avenger," opened July 22, 2011 via Paramount to $65.1 million and did $176.7 million domestically. 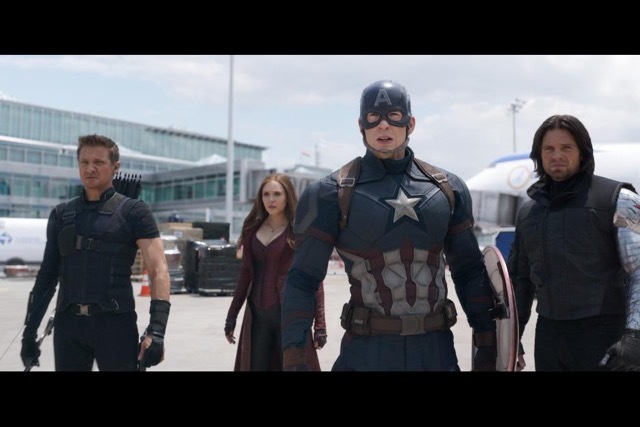 The second episode, "Captain America: The Winter Soldier," opened via Disney Apr. 4, 2014 to $95 million and did $259.8 million domestically. Last weekend also saw Disney's family appeal blockbuster "The Jungle Book" place second in its fourth week with $21.9 million and a domestic cume of $285 million. Disney said "Jungle" did $24.1 million in international theatres last weekend, bringing its international cume to $491.2 million. Its global cume is now $776.2 million. "The Walt Disney Studios surpassed $1 billion domestic ($1.121 billion to date) in just 128 days -- shattering the previous record set last year of 165 days -- as well as $2 billion international ($2.220 billion to date) and $3 billion global ($3.341 billion to date), surpassing the previous industry records set last year in June," Disney reported Sunday. The domestic boxoffice year to date, according to comScore, is running 7.9 percent ahead of this time last year -- $3.866 billion vs. $3.584 billion.